These days, internationally popular items such as pancakes and doughnuts are very popular in Japan. Nevertheless, we still love those traditional Japanese sweets called “wagashi”. 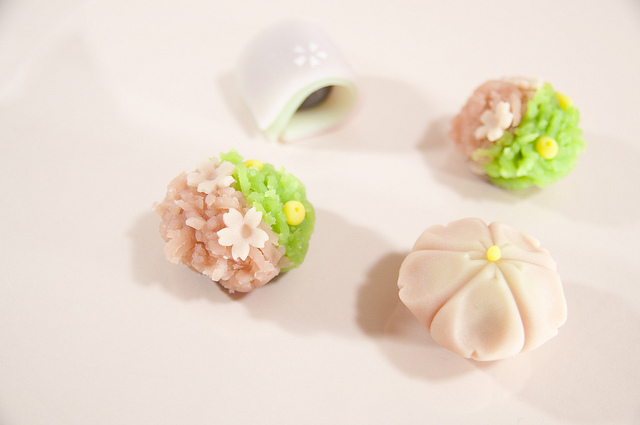 Wagashi are not only delicious, but are also healthy (low-fat/low-calorie). 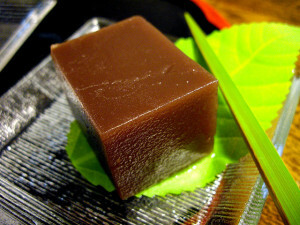 Today I would like to tell you about the five most popular wagashi sweets among Japanese people. Small round mochi rice cake stuffed with sweet red bean paste called “anko” or “an”. It comes in lots of varieties. 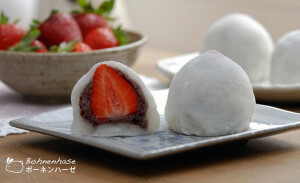 As a well known modern style daifuku, there is “ichigo daifuku” that has a fresh strawberry (sometimes with whipped heavy cream) hidden in it. 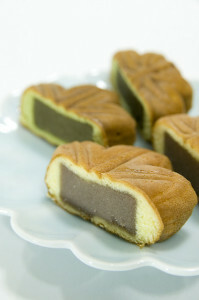 Flat, round, UFO-looking confection consisting of sweet red bean paste sandwiched between two small pancakes. 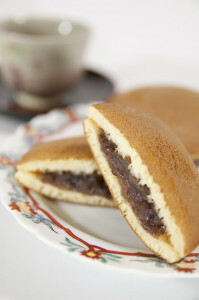 Dorayaki is the favorite food of the world famous Japanese manga character, Doraemon! A bar of sweet jellied adzuki‐bean (sometimes sweet potato) paste. 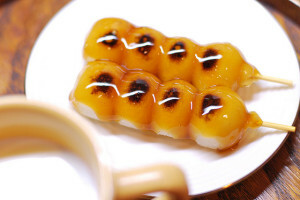 There is also a kind called “mizu (water) yokan” which is perfect for a dessert on a hot summer day. Sweet red bean paste wrapped in a soft shell made from various kinds of flour. Most tourist spots carry their original manju as souvenirs.